Monach, Danaus plexippus, nectaring in a California garden on Roldana petasitis, Velvet Groundsel. Want to feed a specific butterfly? Tools at aerulean.com enable you to find a complete list of nectar plants that appeal to US butterflies. The search results reduce 38,000 entries to a report of either nectar plants that appeal to a specific US butterfly, or, a list of US butterflies that feed on a specific nectar plant. 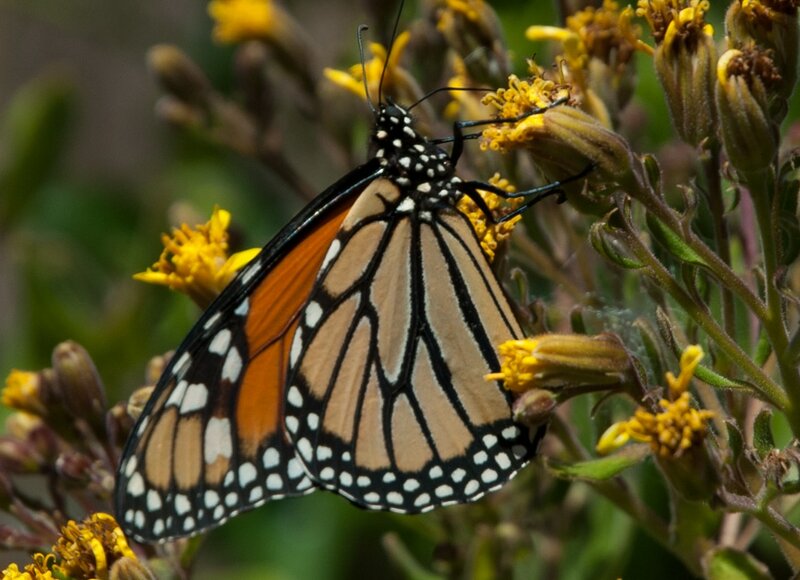 Analysis of 16,000+ images show that in additon to Asclepias (aka 'Milkweed'), over 95 nectar plants appeal to Monarch butterflies. Below is a sample list of those plants -- many that can be grown in your garden or in pots on your patio. This link directs you to a complete list of plants. Happy planting!